Arthritis is a condition where inflammation and degeneration occurs in one or more joints in your body. The general symptoms of arthritis are pain, inflammation and stiffness in the joints. There are at least 200 types of arthritic conditions. 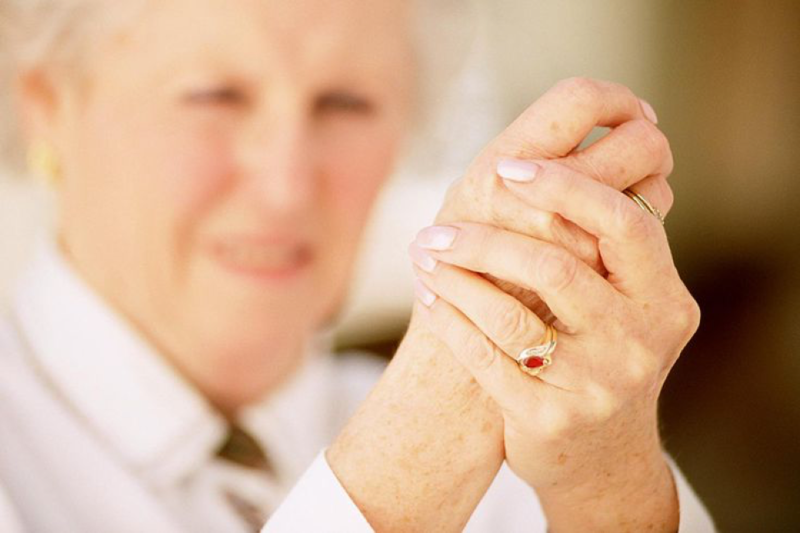 Rheumatoid arthritis and osteoarthritis are the most commonly occurring forms of arthritis. In arthritis, periods of less pain or no pain alternates with periods of increased pain. These episodes of increased pain and inflammation are called flares or flare ups and they can last for a few days to several months. The periods when inflammation and pain are less are called remissions. What Causes Arthritis to Flare Up? The body’s immune system, under normal conditions, protects the body from infections and foreign substances. However, in rheumatoid arthritis the immune system attacks its own tissues and joints. Rheumatoid arthritis is a chronic inflammatory condition affecting the joints of the hands, feet, wrist, elbow, knees and ankle. The symptoms of rheumatoid arthritis include swelling, stiffness, tenderness, and pain in the joints, which may suddenly flare up and then disappear completely. What causes rheumatoid arthritis to flare up? Stress has been found to play an important role in rheumatoid arthritis flare up. Stress triggers inflammation. Cytokines are molecules in the body that are responsible for inflammation in rheumatoid arthritis. Stress is one of the factors that increases cytokine levels and thereby increases inflammation and pain associated with rheumatoid arthritis. What causes arthritis to flare up? Research has found that there are certain foods that you should avoid to prevent a flare up. Red meat, eggs, pork, poultry and butter contain saturated fats, which can increase inflammation in your body. Sugar and refined carbohydrates should also be avoided as they can increase the inflammation in rheumatoid arthritis. You should also decrease your salt intake as salt can cause water retention and swelling of blood vessels, which exerts pressure on the joints. This can lead to a flare up. You should also avoid milk as the proteins casein and whey in milk leads to inflammation and flare up of your condition. Gluten containing foods can also trigger flare ups as the proteins gliadin and glutenin present in them trigger inflammation in the body. Corn oil, coffee and alcohol also trigger inflammation. Pregnancy usually has a positive effect on rheumatoid arthritis. During the last trimester of pregnancy your rheumatoid arthritis usually improves as pregnancy suppresses your immune system. The reproductive hormones that are elevated during pregnancy suppress the immune system and reduce inflammation. However, it was found that in 90% of women, rheumatoid arthritis flared up after 3 months of delivery. What causes arthritis to flare up? Prolactin, a hormone that is responsible for production of breast milk is increased after delivery. It also causes increase in inflammation in the body. Some may require medications for treatment. If your doctor has changed your prescription, the new medications can also cause your rheumatoid arthritis to flare up. Forgetting to take your medicines or stopping your medicines can also result in a flare up. Cold and flu and other infections can also be the cause. It is also called degenerative arthritis or degenerative joint disease. Osteoarthritis occurs due to the damage to cartilages that act as cushion between two bones in your joints. The most common symptom of osteoarthritis is pain in the affected joints after repetitive use. Pain usually occurs at the end of the day. People with osteoarthritis suffer from pain in the knees, finger joints, ankles, wrists, shoulders and foot, which can eventually lead to loss of function. Similar to rheumatoid arthritis flare ups are also common in osteoarthritis and have similar symptoms. However, unlike rheumatoid arthritis, osteoarthritis is not a systemic inflammatory condition. The joint pain in osteoarthritis is not due to inflammation although the damaged cartilage can lead to inflammation in the joints. Osteoarthritis flare ups can lead to sudden increase in pain, swelling of the affected joints and fatigue. What causes arthritis to flare up? Flare ups of osteoarthritis usually occur due to injury or trauma to the affected part of the body. The breakdown of the damaged cartilage in osteoarthritis can lead to friction between the bones in the joints, which can cause a flare up when you put excess strain on your joints. Bone spurs, also called osteophytes, are small bones that grow on the broken bones in the joints. When cartilages or bone spurs in the joints displace they can cause a flare up. Stress is also a contributing factor. Stress can also disturb your quality of sleep, leading to an increased sensitivity to pain. You are more prone to osteoarthritis flare ups if you are overweight. Excess body weight places a lot of physical stress and pressure on the joints leading to frequent flare ups. Cold weather. In cold weather the nerves around your joints are activated to constrict the blood vessels in your limbs so as to prevent heat loss. This can lead to increase in pain sensation in the affected joints. Exercise related injuries and infections can also cause a flare up. The first step in managing pain due to flare up is to take over-the-counter pain medications such as NSAIDs and acetaminophen. If pain does not respond to OTC medicines your doctor may recommend narcotics, corticosteroids and stronger NSAID pain killers. Applying hot and cold compress may help ease the pain. You can regularly do breathing exercises and meditation to reduce your stress levels. If you are overweight or obese try reducing your body weight to reduce frequent flare ups. Eat a balanced and nutritious diet. If you are suffering from rheumatoid arthritis avoid foods that increase inflammation in your body. Foods that are recommended for rheumatoid arthritis include fish like tuna and salmon, green leafy vegetables, cherries, broccoli, citrus fruits and green tea. You can perform simple and low impact exercises to keep yourself active and help maintain your weight. You can consult a physical therapist who can design an exercise plan for you. You should be aware of the first signs of flare up so that you can immediately take measures to prevent it from becoming worse. You should rest during flare ups but you should also balance your periods of rest with some low impact activities.